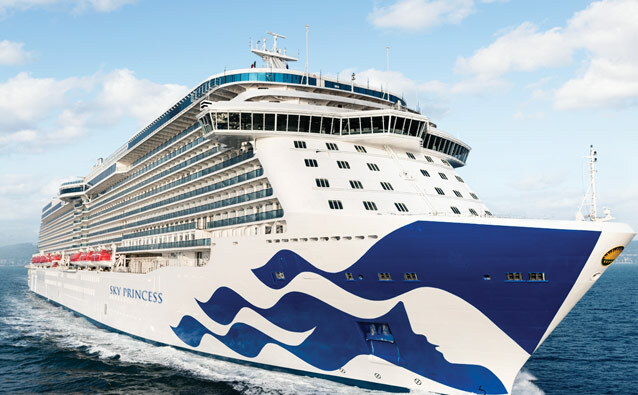 Princess Cruises announced the name of the newest addition to its 2020 Royal-class, Enchanted Princess. Set to debut on June 15, 2020, Enchanted Princess will be fifth in line for the Royal-class ships that will bring new features while still providing style and luxury. 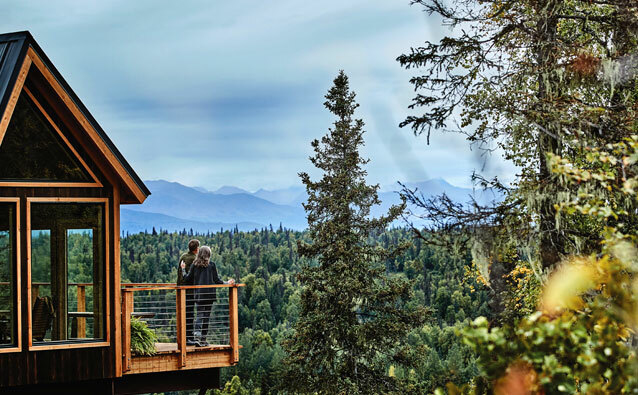 Summer season of 2020 will be open for booking starting on November 8, 2018. To book your trip on the Enchanted Princess, please call The Cruise Web today at 1-800-377-9383 to speak with an expert cruise consultant. 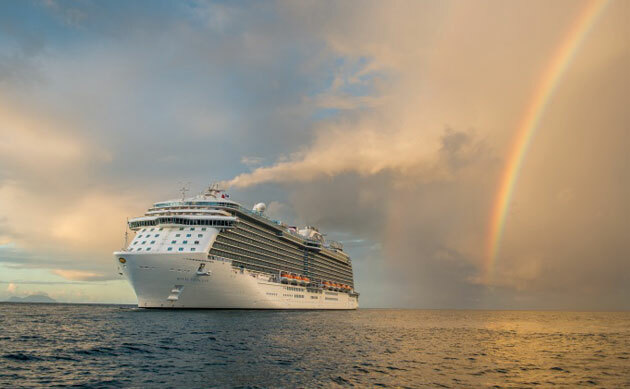 Sneak Peek of Princess Cruises’ Newest Ship: Sky Princess! Whether you spend a lot of time in your stateroom or just a little, you’ll want to be comfortable during your cruise. Thankfully Sky Princess has options to fit all needs and budgets, with everything from the affordable interior cabins to the luxurious Sky Suites–there’s something for everyone! There will be 2 Sky Suites onboard which will comfortably host up to 5 guests and will have a luxuriously furnished 700-sq ft. balcony. Although, if the Sky Suite is a little too large for you, Sky Princess has plenty of other fantastic stateroom options. Enjoy more living space and luxurious accommodations in a suite. Have your own private view of the sea with a balcony or cozy up in an interior stateroom and get the best sleep of your life. No matter which stateroom you choose, you are sure to enjoy an elegant and comfortable room aboard Sky Princess. When you cruise with Princess, you expect a top quality dining experience, and Sky Princess won’t disappoint! Of course you’ll have the mainstays; the buffet with quick and varied dishes and the main dining area features fresh and delicious dishes designed by award-winning chef Curtis Stone. But if you’re looking for something a bit fancier than the included dining, then visiting one (or more!) of the specialty restaurants during your cruise is essential. Enjoy an extravagant multi-course meal created and hosted by the ship’s executive chef at the Chef’s Table Lumiere. 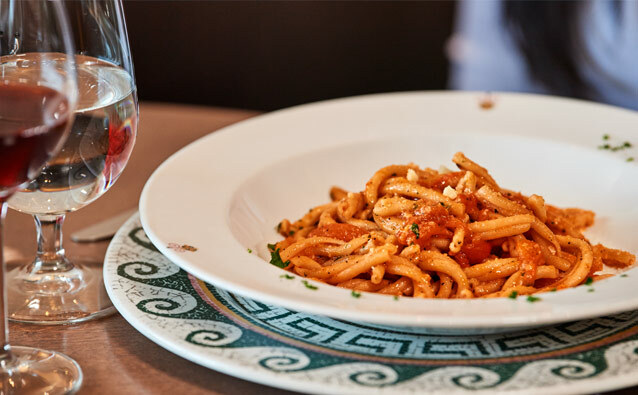 Or, if you’re craving some authentic Italian food, then a meal at Sabatini’s must make your ‘must do’ list. Or, if your trip won’t be complete without a perfectly cooked steak, then you must fit in a meal at Crown Grill. Whether you try one dining venue or try them all, you are guaranteed to enjoy a delicious meal every time. Princess Cruises will be adding two new ships to its fleet, one in 2023 and another in 2025. The new ships will be the first in the line to be dual-powered and will primarily use Liquefied Natural Gas (LNG) as a fuel source. LNG is the most environmentally friendly advanced fuel technology and the world’s cleanest burning fossil fuel. 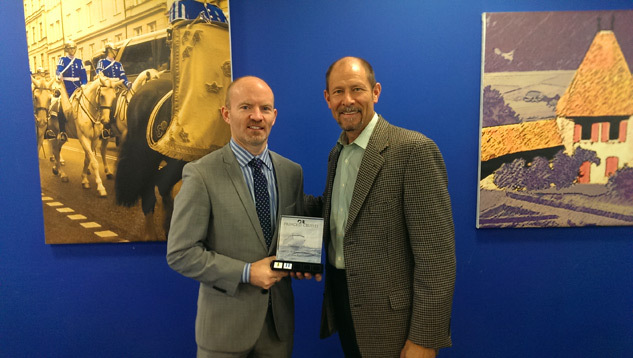 Using LNG as the primary fuel will significantly reduce air emissions and marine gasoil. “This revolutionary platform for next-generation, LNG-powered cruise ships will introduce innovative design and leisure experiences driven by the future vacation and lifestyle trends of our guests – further evolving the already best-in-class Princess Cruises experience we deliver today,” said Jan Swartz, president of Princess Cruises. “We look forward to collaborating with Fincantieri to bring our vision for this next-generation premium cruise ship into service,” she added. By Carrie Loughry, Marketing & Operations Assistant, The Cruise Web, Inc. When I had the opportunity to sail the California Coast with Princess Cruises aboard Star Princess, I knew I couldn’t pass it up. It’s a destination I’ve been wanting to visit for a long time, and I knew cruising would be a great way to experience a lot of California without having to pack and unpack at each port. Before this trip, my boyfriend had never been on a cruise, and I had only been on a couple three-day Bahamas sailings, so a ten-day sailing was a little intimidating. However, we had no reason to be worried because we had an amazing time. Continue below for some of the highlights from my California Coast cruise with Princess Cruises. We chose our cruise primarily for the itinerary, and we were definitely not disappointed! Our voyage sailed roundtrip from Vancouver and included two sea days before our first port of call. This didn’t excite me at first, but ended up being a nice way to get accustomed to the ship and relax after the cross-country flight. That being said, we wanted to see California – a state whose coast regularly makes lists of places you must visit, and I can see why. The scenery was some of the most beautiful I have ever seen in person and I honestly didn’t want to leave. My boyfriend, Gary, and I did many fun but varied activities while in each of the ports. In Los Angeles, we took a tour of Beverly Hills. In Santa Barbara, we visited a cat café and enjoyed cappuccinos while playing with some of the sweetest cats I’ve ever seen. Monterey is an adorable seaside town, and we really enjoyed seeing how their bay conservation efforts have paid off. However, the highlight of our trip was definitely the overnight stay in San Francisco. I booked a hop-on, hop-off bus tour for us and would definitely recommend it for anyone visiting a new city. 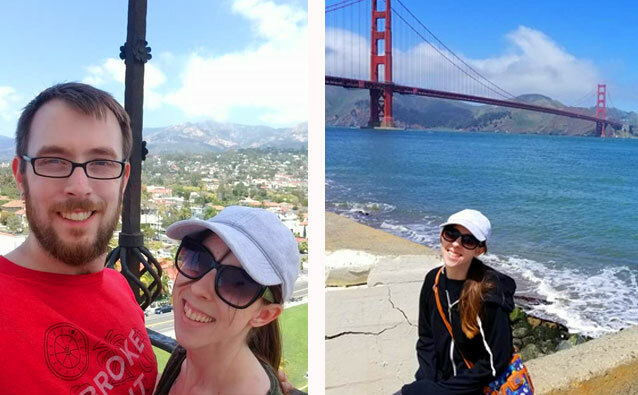 We were able to get a feel of the city and its different neighborhoods, learn about the history and importance of different areas, and have an efficient way to travel around San Francisco. 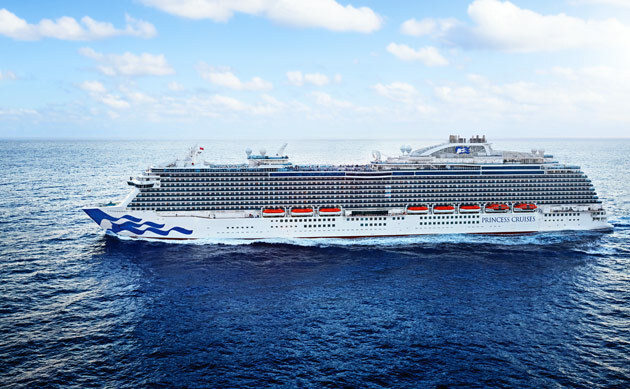 Princess Cruises recently announced its newest ship, Sky Princess¸ will make her eagerly awaited debut in 2019 sailing in the Mediterranean. Sky Princess is a sister ship to Regal Princess, Royal Princess and Majestic Princess; and features all the best features of these ships. From the Sanctuary and three-deck Atrium to the new dining venues, Sky Princess guarantees guests will have an amazing cruise. Princess Cruises’ hotly anticipated Ocean Medallion has arrived! This November, Princess Cruises began introducing the Ocean Medallion on board, and in so-doing has revolutionized cruising and opened the door for incredible new vacation experiences. Ocean Medallion is a groundbreaking – and complimentary – new experience exclusive to Princess Cruises. Designed to provide personalization as never before realized, seamlessly integrated ship-wide, Princess Cruises’ Ocean Medallion leverages state-of-the-art technology to create an amazing cruise vacation. The Medallion is the ship and crew’s portal to your encrypted digital profile, where customizable notification and privacy settings let you decide which features to enjoy. The actual Medallion device is a quarter-sized disc that can be carried or worn in a variety of ways, including on a wristband or necklace. Put it on and watch the magic unfold, starting with a streamlined boarding process so you spend less time in line and more time enjoying your vacation! And that’s just the beginning – the true scope of Ocean Medallion’s enhancements are realized after you step onboard! Each personal Ocean Medallion is connected to a custom profile that allows onboard staff to better anticipate guests’ needs and provide personalized service to suit any preference – such as delivering drinks, recommending excursions and locating kids. Princess Cruises is elevating the guest experience onboard with the introduction of a new level of cruise personalization with a first-of-its-kind interactive technology platform within the One Cruise Experience Access Network (O.C.E.A.N.). This device, worn as a pendant on a wristband or placed in a pocket, has no discernible technology, no menu to navigate, no on-and-off switch and no charging. Yet, it promises to be a perfect enhancement to guest experiences in unprecedented ways. Join us in welcoming the Ocean Medallion Class! As the first Carnival Corporation brand to feature the Ocean Medallion Class, Princess Cruises has raised the bar to unbelievable heights in the cruise industry – and this may very well be the missing piece vacationers have been yearning for. Imagine spending time doing what you actually love to do on a cruise, instead of learning to love what has already been curated. This is what Princess Cruises hopes to achieve with its latest technology.